This article will show you the strategies for making good ad revenue from your website with Chitika ad network. If you are not yet a Chitika publisher, there is no better time to signup than now. In my own opinion, Chitika ad network is the best AdSense alternative out there. 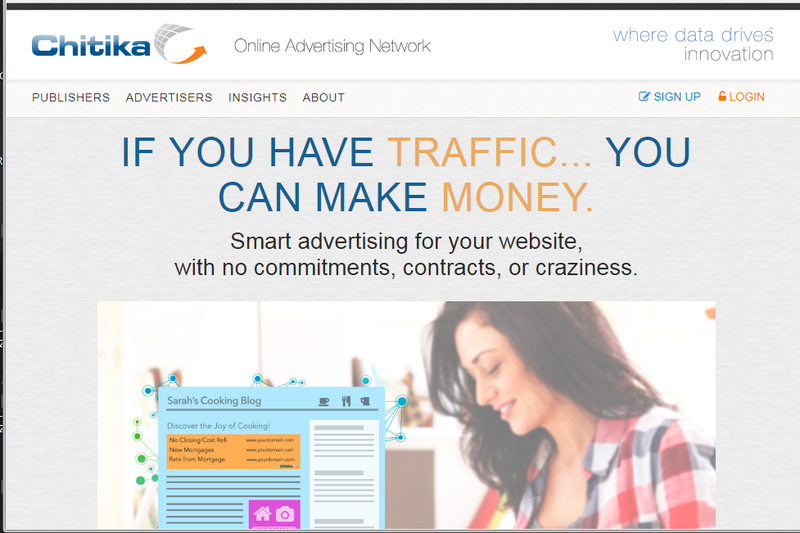 Join Chitika and see awesome results in your ad revenue from your site. Chitika premium ads allow publishers to offer an alternate ad URL. This is how it works. Let's say you run two different ad units on your blog, say, Chitika and AdSense or any other ad units, you can combine the other ad unit with Chitika Premium ad units. This means your alternate ad unit will show up when Chitika premium will not show. Your alternate unit may be an AdSense unit, Amazon or any other unit. Like me, currently, I use Chitika and Ad Dynamo. So whenever I'm creating an ad code in Chitika, I use Ad Dynamo as my alternate URL and it works perfectly. When Chitika Premium doesn't show up, my Ad Dynamo units show up. This means revenue from two sources. To create an ad unit with Chitika, log in to your publisher dashboard. From the menu list select "Ad Set". From the drop-down menu, you would see different options i.e. "Types of ads", "Code creator", and "Referral program". Select Code creator and you would be taken to where you can format your ad unit to your desired taste. You can also select the type of ad, whether text ad or mobile ad. You can also test your keyword by entering a keyword that will be used to produce a demo ad. The last option in the column is the alternate URL. Login into your second ad network and also create an ad code. Copy the code, go back to Chitika dashboard and paste it in the box that says "Alternate URL" in the ad you created initially. After that, select the "Get Code" on your right-hand side and your code will be generated. Copy the code, back to your website and place it in the HTML source code of your site where you want the ad to be displayed.